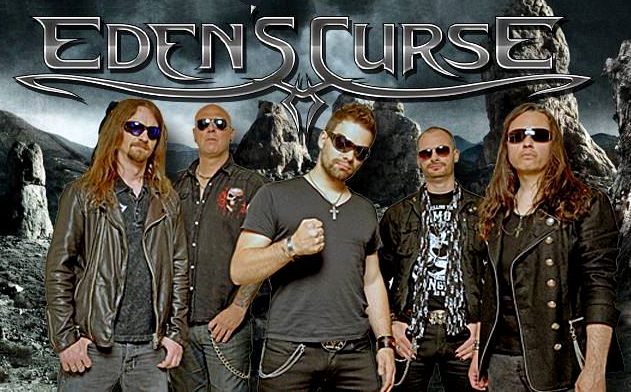 Multinational Melodic Metallers EDEN'S CURSE, formed in 2006, has risen from their humble beginnings as an internet studio project to a full blown touring outfit with four studio albums and several tours behind them. During their seven years together they have managed to win over audiences wherever they have played whilst collecting praise from esteemed peers such as legendary Iron Maiden vocalist Bruce Dickinson and several members of Prog Metal legends Dream Theater, which ultimately led to the band opening for them on a recent UK tour. They are back with their fourth studio album "Symphony Of Sin" (released on October 4th through AFM Records), the first fronted by new Serbian vocalist Nikola Mijic and former DragonForce and Power Quest keyboardist, Steve Williams, alongside founding members Paul Logue, Thorsten Koehne and Pete Newdeck. "Symphony Of Sin" carries on where their last album "Trinity" left off with the band delivering arguably their most consistent collection of melodic-yet-thunderous songs to date. The first song and title track "Symphony Of Sin" has a strong impact, clocking in at just under the 8 minute mark, features the epic sonic wall of a 46 piece orchestra, soaring vocals from Nikolai Mijic and topped off with razor sharp riffing from Thorsten Koehne. Paul Logue answered our question about whether the current line-up was temporary, 'This line-up is very settled and works great together. 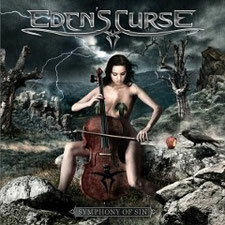 We hope to have some stability back into EDEN'S CURSE', he suggested the continuing with it.